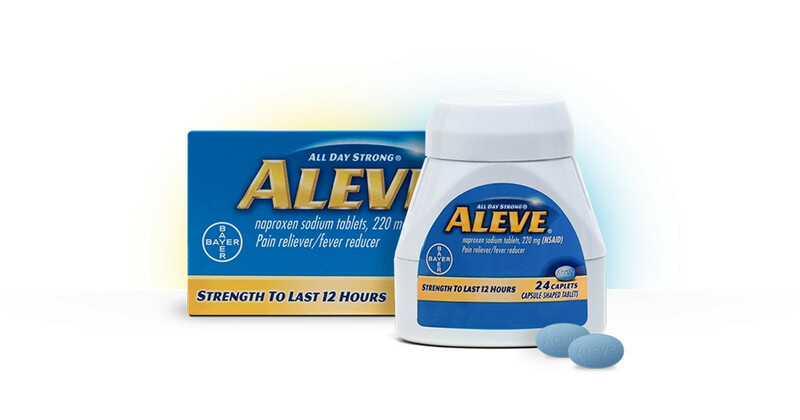 The Bayer Aleve All Day Strong Pain Reliever is formulated to ease minor aches and pains, such as headaches, body aches, backaches, and arthritis. 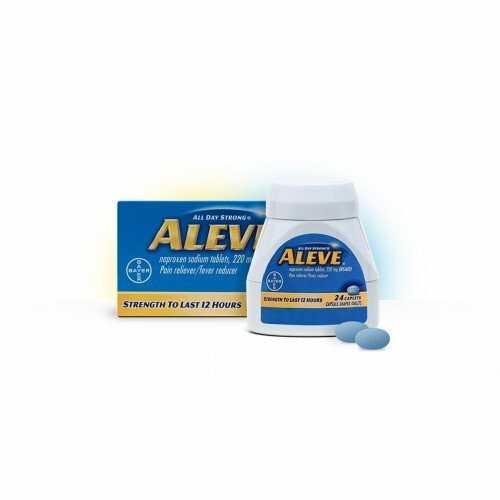 Aleve Pain Reliever/Fever Reducer provides strong relief in a single dose that lasts up to 12 hours. The small-oval shape of the caplet makes it easy-to-swallow on its own or washed down with a sip of water. The Aleve Caplets for Pain Relief has helped individuals take back their active lifestyle without being slowed down by body aches and pains. If you require additional pain relief to help you sleep through the night, you may like to try the Pain Reliever PM by Sunmark.